Cheers to New Brunette the Label! 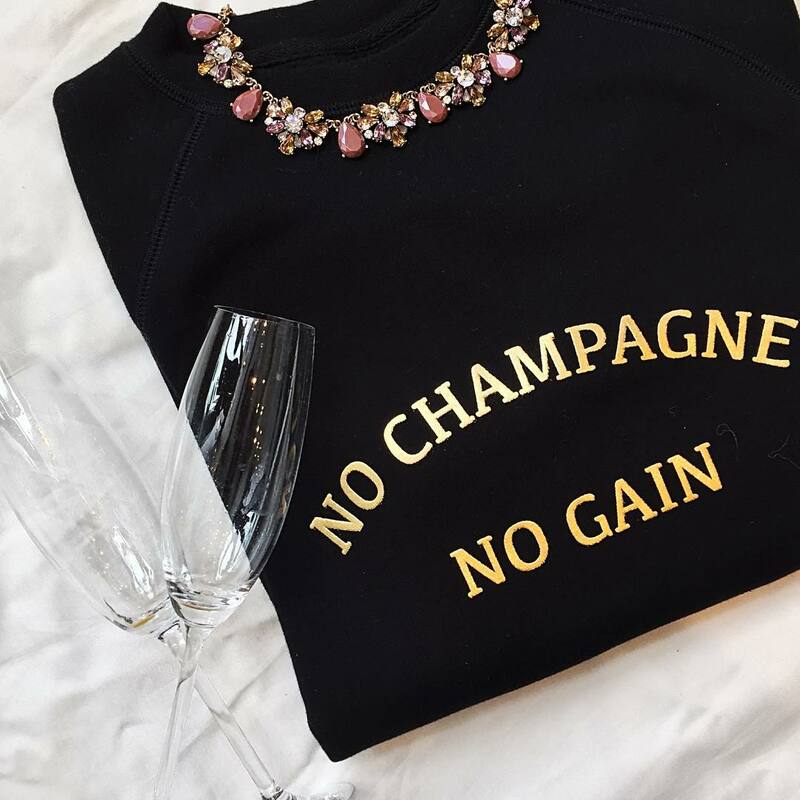 Your favourite crewneck gets a fun update in this adorable pullover from Vancouver brand Brunette the Label. The perfect piece to celebrate another work week complete, this oh so cozy number features an eye-catching metallic gold font to really pop against the sleek black base. Rock yours with a white button down and dark wash denim for a great girls night in style!